You can purchase "Prelude to the Herd" at this location. 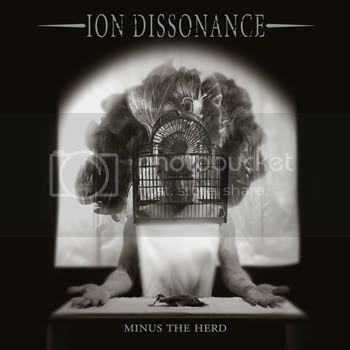 ION DISSONANCE recently posted the track "Kneel" on its MySpace page. The follow-up to 2005's "Solace", "Minus the Herd" was produced by Zeuss (SHADOWS FALL, HATEBREED) and will feaure artwork by Paul Romano (MASTODON, TRIVIUM, CHIODOS). ION DISSONANCE recently shot a video for "Kneel" with director Andrew DeYoung (CHIODOS, SCARS OF TOMORROW) that will be serviced to major outlets for airplay at the time of the album's release. ION DISSONANCE has been added to the massive full U.S. Summer Slaughter Tour that features NECROPHAGIST, DECAPITATED, CEPHALIC CARNAGE, CATTLE DECAPITATION, AS BLOOD RUNS BLACK and more. 0 Comments on "Ion Dissonance Release Digital EP"